When should the Takbir (saying: “Allahu Akbar [Allah is the Greatest]”) restricted to after the obligatory daily Salahs (Prayers) [during the days of `Eid-ul-Adha (the Festival of the Sacrifice)] start? 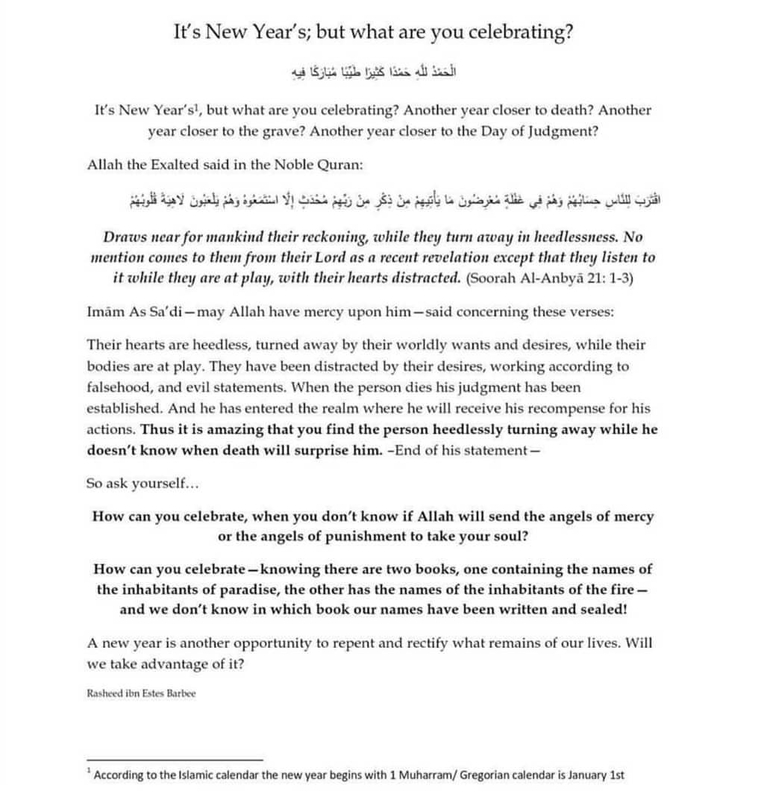 Q: When should the Takbir (saying: “Allahu Akbar [Allah is the Greatest]”) restricted to after the obligatory daily Salahs (Prayers) [during the days of `Eid-ul-Adha (the Festival of the Sacrifice)] start? What is the evidence of its legality? A: It is prescribed for pilgrims to say Talbiyah (devotional expressions chanted at certain times during Hajj and `Umrah) from the time they enter Ihram (ritual state for Hajj or `Umrah) until they throw the pebbles at Jamrat-ul-`Aqabah (the closest pebble-throwing area to Makkah). This is based on the Hadith reported on the authority of Ibn `Umar (may Allah be pleased with him and his father): We left early in the morning with the Messenger of Allah (peace be upon him) from Mina to `Arafah; some of us were performing Talbiyah and the others performing Takbir. Pilgrims should start restricted Takbir after offering the Zhuhr (Noon) Prayer on the Day of Nahr (Sacrifice, 10th of Dhul-Hijjah, when pilgrims slaughter their sacrificial animals) until the `Asr (Afternoon) Prayer on the last of the Days of Tashriq (11th, 12th, and 13th of Dhul-Hijjah). As for non-pilgrims, they should start Takbir starting from after the Fajr (Dawn) Prayer on the Day of `Arafah (9th of Dhul-Hijjah) until the end of the Days of Tashriq. 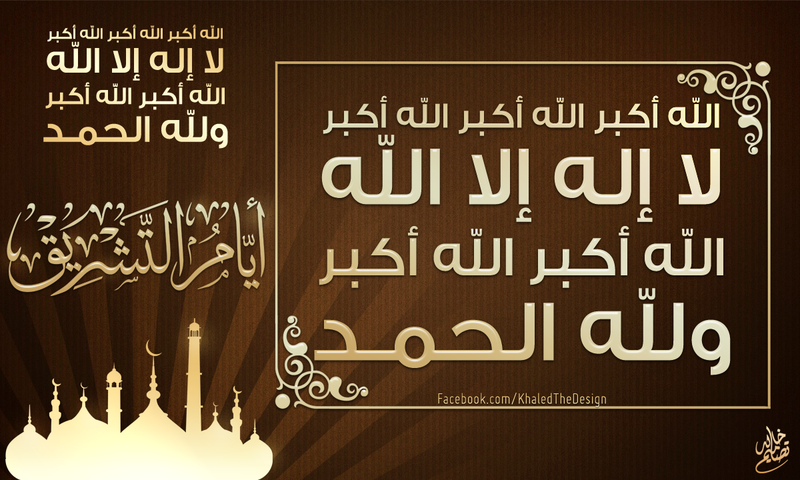 The evidence of its legality is the Saying of Allah (Exalted be He): And remember Allâh during the appointed Days. And: …and that you must magnify Allâh [i.e. to say Takbîr (Allâhu Akbar; Allâh is the Most Great)] for having guided you This is also supported by the fact that the Sahabah (Companions of the Prophet) used to do so. 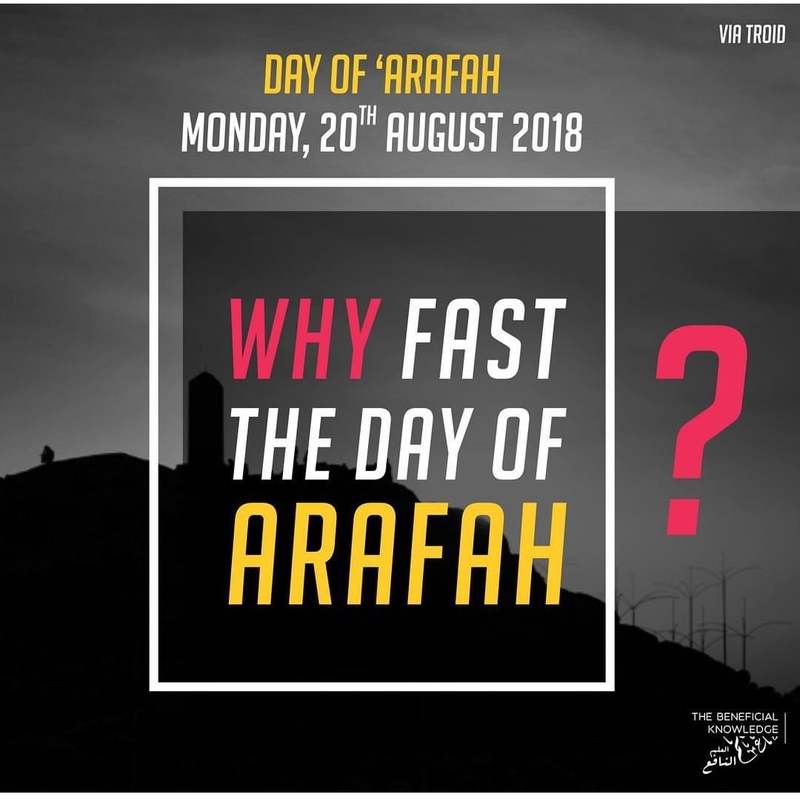 Why Fast the Day of ‘Arafah? It is on this day that the pilgrims gather at the mountain plain of ’Arafah, praying and supplicating to their Lord. 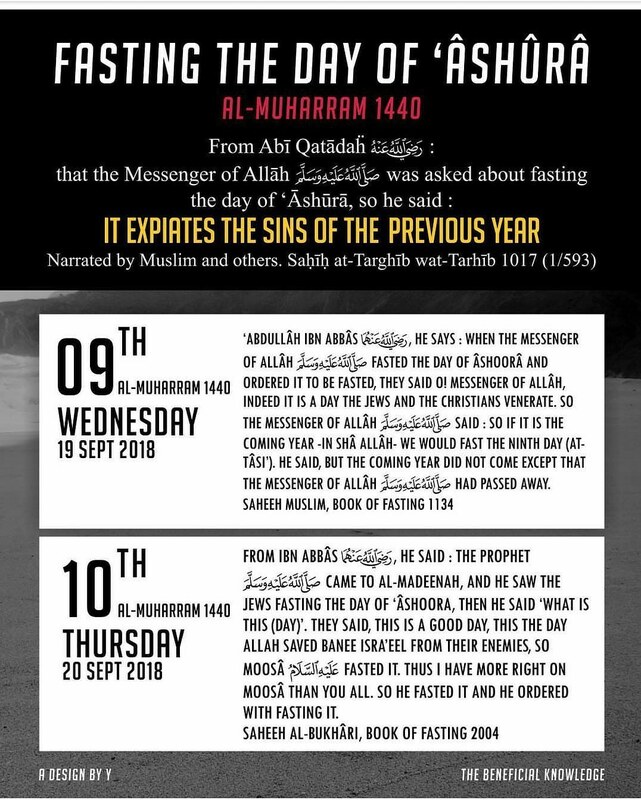 It is mustahabb (highly recommended) for those who are not pilgrims to fast on this day. Related by Muslim (no. 1162), from Abū Qatādah (raḍī Allāhu ʿanhu). 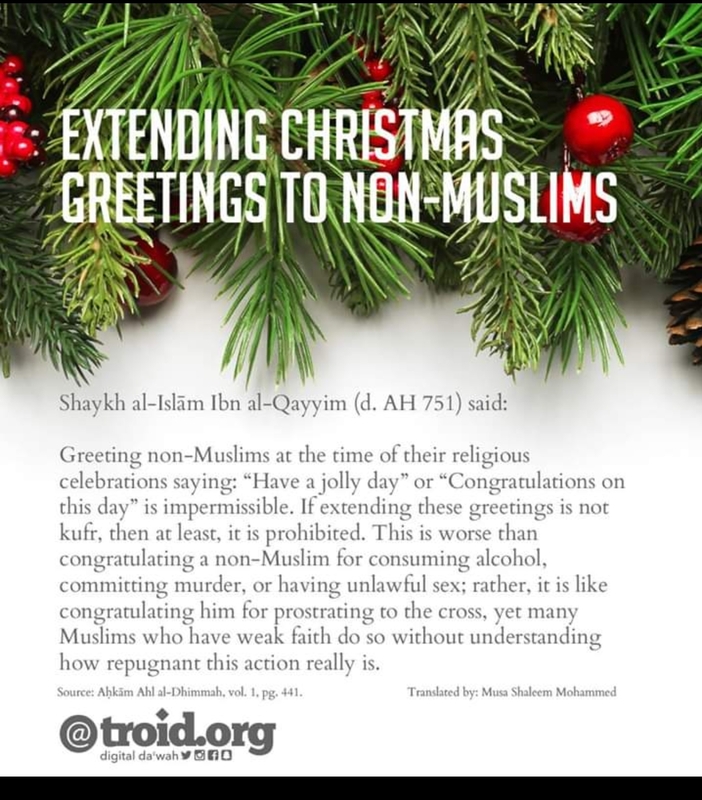 Related by Muslim (no. 1348), from ’Aa‘ishah (raḍī Allāhu ’anhaa).